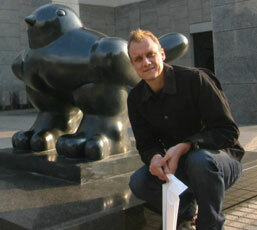 We interview sociologist and art researcher Adrian Favell, who has specialized in the contemporary Japanese art scene. Adrian Favell is a regular “official” blogger for ART iT in addition to being a contributing writer for Art Forum. His sociological research has focused on the mobility and migration of skilled workers primarily in Europe and he has published and edited numerous essays, reviews and books. 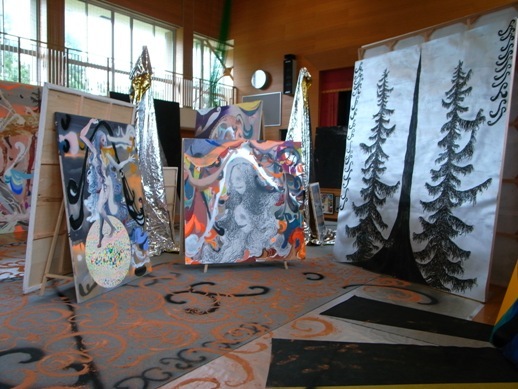 From 2006, his work start to focus on Japanese contemporary cultural forms which had impacted the West via L.A. (such as the work of Takashi Murakami and Yoshitomo Nara, who had both previously been visiting professors at UCLA in 1998) and in 2007 became an Abe Fellow of the Japan Foundation. The following year, at the invitation of Haruka Ito (formerly of the Magical Art Room) he presented a paper “After the Goldrush: Japan’s new post bubble art and why it matters” which became the introductory essay for “The Echo” at ZAIM, an artist-led exhibition running during the Yokohama Triennale. This was later published by Satoshi Okada (Magical Art Room) and it is also available on his website. He is currently concluding his research on the Contemporary Japanese art scene post 1990s, due for publication in 2011. How did you first get involved with the Japanese Art Scene as a topic for research? I only started doing in-depth participant observation about ten years ago, when I was working on my book Eurostars and Eurocities, which is about the new generation of young Europeans moving freely for life and work among European cities. Getting involved in the Japanese art scene as a writer/observer/curator has given me access to places and people that would not have been possible otherwise. As a sociologist do you feel that direct participation is a positive or negative aspect of your work? It is both a very enjoyable kind of research, and necessary to get inside and understand any kind of social world If I wasn’t involved — and friends with many of the people in the scene — I wouldn’t be able to get past obvious linguistic and cultural barriers. There is nothing worse in research on Japan than the kind of heavily chaperoned interviews that many American journalists, for example, get when they are brought in to do “objective” interviews with translators; all the interesting stuff happens in an izakaya late in the evening over drinks and jokes. How do you think your writing on the subject differs from that of an art critic? Some of my writing is getting close to art critic writing, but I am more interested in how the art world works, than in ranking and evaluating artists or proclaiming that so-and-so is a genius. I take a “flat” approach to the world, I am just as interested in curators, gallerists, writers, students, and others involved in the scene, as the artists themselves. Also, although I am a sociologist, and studied a lot of philosophy once, I am really not that interested in the “art theory” that you find in many Japanese art writers, such as Midori Matsui, as well as in most global art writing, such as Frieze and Art Forum. Why, for you, is the Japanese art scene — which has been from an international perspective largely overlooked compared to China — so important? This is the key point of the essay, ‘After the Gold Rush’, I wrote for “The Echo” show in Yokohama, October 2008, that just came out as a catalogue. There is something still very post-colonial in the way the West has been obsessed with China and other new art powers in Asia. These countries are developing fast, they might be coming a threat to Western hegemony, and there are opportunities for making lots of money there. That’s how the thinking goes. Everyone has turned away from Japanese art, because there is no money in it. Yet Japan is in a very different situation, since the early 1990s in fact. Japanese art is thus related to a post-development, post-Bubble scenario, which the West in fact now has a lot to learn from. The forms of culture that came out of the decadent crisis years of the mid 1990s in Japan were simply extraordinary, and the forms now coming out of the next generation — those born in the 1970s and after, whose futures were dramatically cut off by the collapse of the boom years — are quite uniquely sensitive and thoughtful about our present day condition. Japan is also interesting because of the relative lack of the conceptual fads and fashions that dominate global art everywhere else. Which Japanese artists work do you like, and why? Let me just mention two. Satoru Aoyama and Kei Takemura. They are both quite typical of the Seventies generation: global travellers, for whom the old issues of Japanese nationalism, and obsessions with pop culture are irrelevant, and who are difficult to place in any current fashion trends. There is nothing traditionalist about the work, and yet it finds a new way of reinventing a purpose for craft techniques and aesthetic sensibilities in a very contemporary art setting. Aoyama has been seen this year at “Roppongi Crossing 2010”. He spent a long time in Britain, during the era of the YBAs, and has a fine conceptual sense, not least about the unusual choice he made to take on a woman’s form of craft — needlework — as his method, and in the deliberately anachronistic notion of making “painting” like objects with an antique sewing machine and sewing thread alone. He matches incredible technical virtuosity with a commitment to making beautiful objects out of almost random choices of banal media images. The dark room installation at the Mori Museum was perhaps the standout room in the show. From her base in Berlin, Takemura has developed a whole language of her own to translate memories and objects into moving, but evanescent moments. 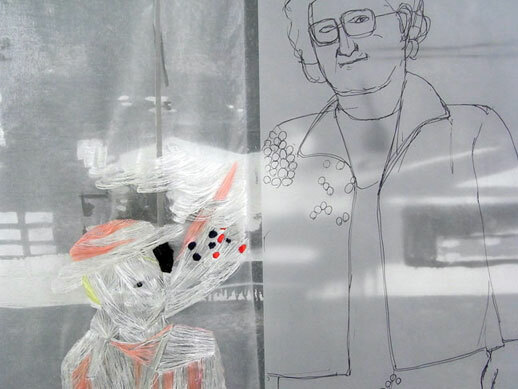 She was at NACT in 2008, and “Stitch by Stitch” at the Tokyo Teien Museum in 2009. I like the emphasis on renovating old objects, and taking almost worthless, everyday things as a starting point. The translucent tapestries, with white silk, link memories to things and places, and she also performs these memories as part of the show. It’s a very humanistic, emotional and hopeful kind of work. But, as you can see from my blog for ART-iT, there are many artists I enjoy writing about! From your observations how do you see the art scene developing in the future? This seems to be an area where there is something fascinating going on in Japan. The society as a whole seems to be coming to terms with its relative economic decline and its surplus of young creative energy. One way is, of course, the Murakami way. How to be rich and famous like me: an almost cynical appropriation of pop cultural energies, the turning of art into talent contests and commercial branding exercise, the promise of working for the big corporation. The other is visible in things like the Echigo-Tsumari festival, in which the same energies are harnessed instead to an often exquisite concern for rehabilitating old sites and community connections in declining rural villages. And it is seen in the sheer idealism of the new 3331 Arts Chiyoda centre led by Masato Nakamura, where an old abandoned junior high school, that used to resonate to the sound of children who are no longer being born, can now become a community centre for artists, that maybe gives young art students some kind of possible channel between school and the outer world that doesn’t depend on selling out and the dream of a freak commercial breakthrough. Then you see the enormous efforts to link art and architecture to regional development of cities and islands, such as the Setouchi festival this summer. These are all very interesting phenomena on a global level that I think somebody should be writing about! TABlog also published a photo report of the 2008 “The Echo” exhibition.